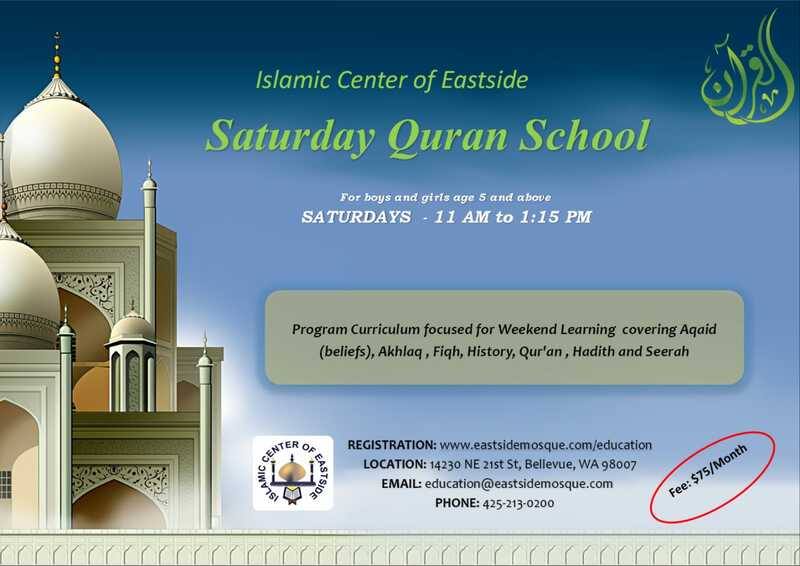 Saturday Quran school ill be resuming from 9/22. First class will be on 9/22 at 11 AM. Classes will be separate classes for Boys and Girls. Teachers on Boys side will be Sheik Ahmed Labeeb Salman ( Son of Mufti Mujib's Sahib, Montlake Terrace) Sheik Masood Hasan ( Son of Imam Fazal Hasan). Please email or reach 425-213-0200 if you have any questions.